At a time when rare spirits have a new cachet, San Francisco's Anchor Distilling has unearthed some of the rarest whiskies in the world. 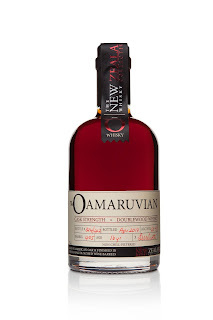 The New Zealand Whiskey Collection consists of four very expensive whiskies from a distillery that has been defunct since 1994. Not only that, the Willowbank Distillery in Dunedin only operated for seven years, between 1987 and 1994. At the time, wine exports from New Zealand were still extremely rare -- imagine a world before Marlborough Sauvignon Blanc -- and the distillery owners couldn't get enough domestic interest to keep their business running. Perhaps these whiskies were ordinary when they were made. Perhaps they offered New Zealanders no reason to pay a premium over good imported Scotch. Obviously a Dunedin product would have access to New Zealand's famously clean water for brewing. As for the quality of the local barley, I really can't say, but it's the water that matters most anyway. Maybe the original distillers were learning on the job and their work was underwhelming. That was then. Now it's 2017, and these whiskies sat around for decades, quietly aging, in the defunct distillery. That's exciting. In 2010, an entrepreneur named Greg Ramsey bought the last 443 barrels of cask-strength whiskey. It took him a few years to figure out what to do with his prize, and during those years the whiskey was only getting better. What Ramsey ended up doing was bottling four different whiskies at exorbitant prices in 375 ml bottles. I do mean exorbitant. None of the whiskies makes sense purely as a quality-price-ratio drink, not when you can get a really nice 750 ml bottle of Bourbon for $60 or so. But they have a great backstory, they're extremely limited, and when they're gone, you will never get another chance to drink them. They are unicorn whiskies for a unicorn era. And considering they all come from the same distillery, they taste surprisingly different. 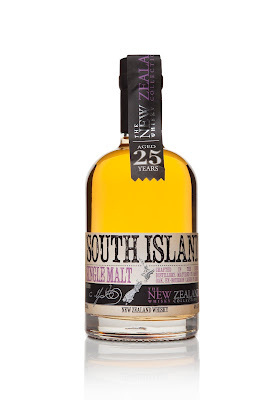 The best is South Island 25 Year Old Single Malt (40% ABV; $230 SRP, 375ml). This is an elegant, complex, delightful whiskey. It has no oak aroma to speak of, and while it first greets you with aromas and flavors of baked bread, white flowers, honey and sea salt, a peaty note begins to emerge the more time it spends in your glass, enough so that you might think it's a Scotch with a light touch. It's appropriate for the drinker who likes to savor his dram straight and prefers grace to power. Buy it here. This has a potent aroma of bread dough and golden raisins with a touch of red wine; the alcohol is strong in the aroma. Surprisingly to me, it's fairly easy to enjoy straight. It's powerful, sure, but it has golden raisin and red wine notes and despite the name, doesn't have tough oak tannins. While I liked it straight, it shines with a wee drop of water, which makes the yellow fruit (golden apple and raisin) more obvious, along with that hint of red wine. The mouthfeel is smooth. It's a nice cold-weather sipping whiskey, leaving a nice aftertaste of darker raisins and dried cherries. Buy it here. This has a nice cherry wood aroma, like a new cigar box, with raisins, honey and baked bread. But I like smelling this one straight more than drinking it. The oak tannins are pretty strong and it's not pleasant to drink straight; it needs a drop of water to soften it, and then it's pleasurable, with cherry wood and raisins and baked bread. For wood fans. Buy it here. This is like the bolder, less elegant version of the South Island. Its subtle nose offers golden apple, whole wheat bread and wildflowers, with no oak aroma to speak of. It's more potent in the mouth than you expect, with a forward baked golden apple flavor and wildflower honey on the finish. Buy it here.